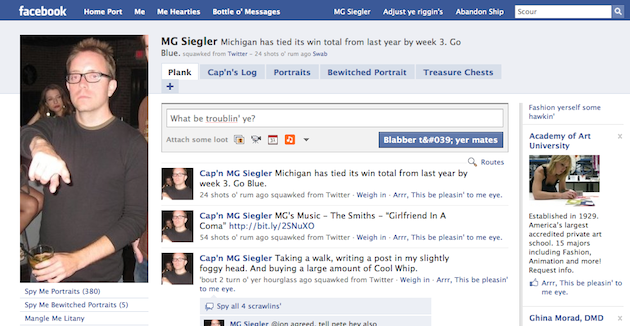 Last year, Facebook rolled out a new “pirate” language on Talk Like A Pirate Day, it was quite funny. Naturally, it’s back again this year, and it’s maybe even more awesome. Most impressive is Facebook’s attention to detail (even the email and new desktop notifications are translated). Quite a bit has changed on Facebook over the past year, but it looks like they’ve been able covert all of it successfully over to pirate tongue. Oddly, the only thing that doesn’t look great in pirate-speak is the status update button, which is borked with code in place of the “o” in “to”. 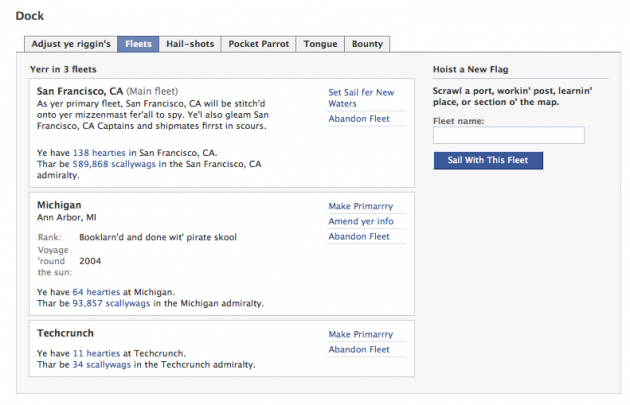 Last year, FriendFeed also participated in Talk Like A Pirate Day, but so far, nothing this year from them. Of course, they now work for Facebook, so perhaps they contributed there. Also, it appears that Google has yet to do anything on their homepage to mark the occasion, which is odd, since this type of day seems right up their alley. But Google Pirate is still alive and well from last year. 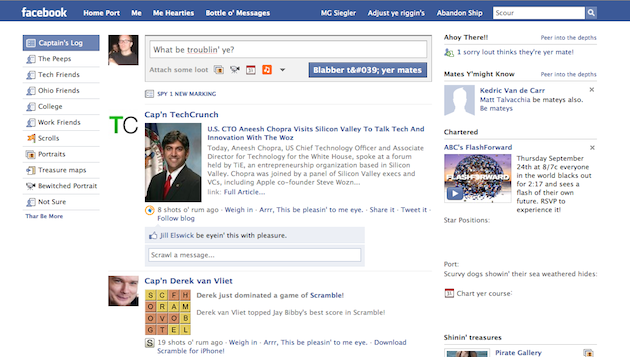 Below find some screenshots of Facebook’s Pirate version. 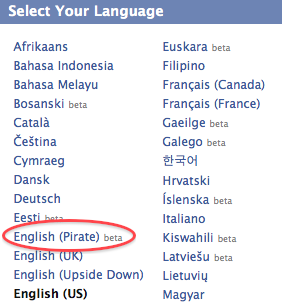 To use Facebook’s Pirate language yourself, click on the language link in the lower right hand corner of the main page (you can also change it in the settings section).